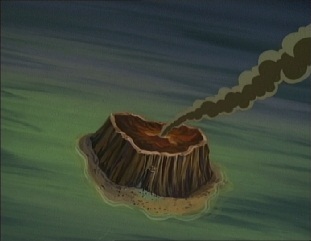 At some island out in the middle of nowhere, a portal opens and out steps Komodai. 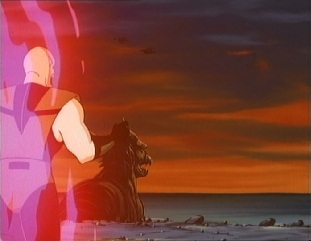 He is followed by members of his clan, and he declares that the Earth realm is now theirs! 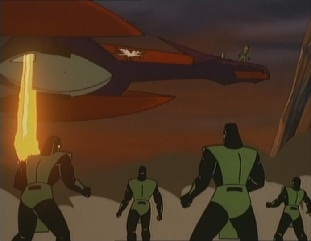 However the MK team show up in their dragon jets, and immediately land. 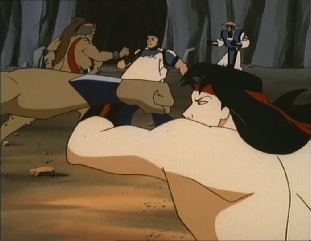 A massive battle breaks out between them and Komodai's ninjas, with the MK team looking the stronger of the two sides. 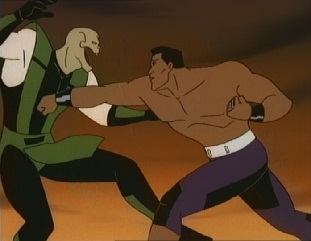 Jax beats down a few guys and then comes across Komodai. 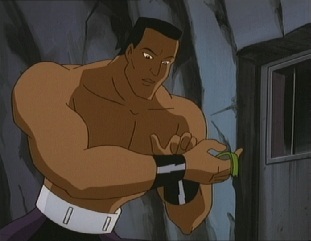 Komodai says that Jax has made a grave mistake, and then removes his mask to reveal that he is a lizard man. 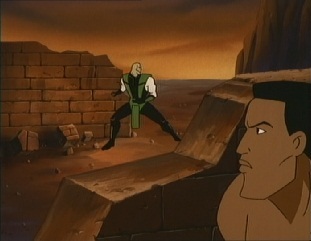 Jax is surprised, as he thought that all of Reptile's race were extinct, but it seems not. 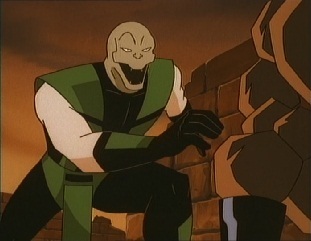 Komodai says there are more than enough of them to conquer this realm, and then displays that he has the power of a chameleon, able to turn himself invisible. 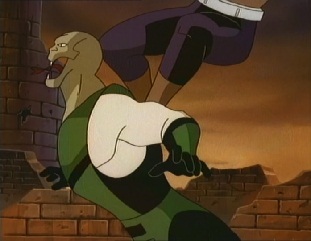 He spits on Jax, but it turns out his spit is actually acid, which damages Jax's arm implants. 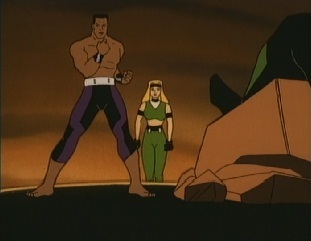 He then beats Jax up, but Sonya comes to his aid and starts to fight with Komodai. 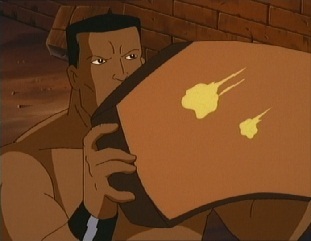 As this is happening, Jax is seen removing parts of his implants. 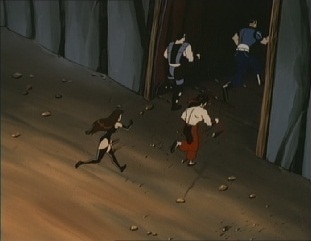 Sonya kicks Komodai down and he and his ninjas flee back through the portal. 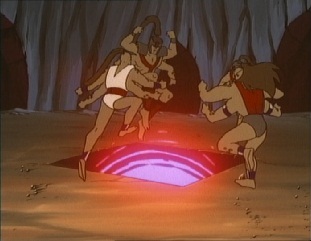 Before he leaves, Komodai tells them they they cannot stop him from conquering Earth realm, then he goes through the portal. 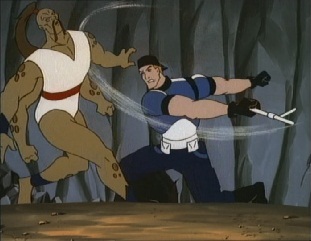 Stryker seals it up, but it takes him longer than usual for some reason he doesn't understand. 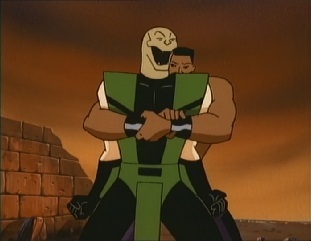 Jax recovers, and wants to return to base to repair his arms. 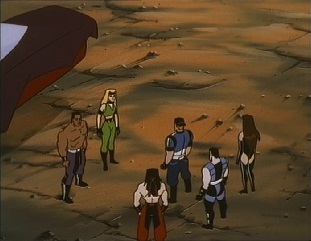 Sonya suggests just ditching his armor but he refuses, saying he needs it for his strength. 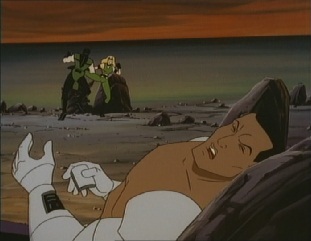 He picks up the damaged parts he took off but finds that the control chips are missing, and they can't find them. 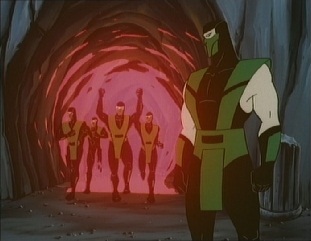 The team leave in their jets, not seeing that a portal has opened and Komodai steps out, swearing revenge. 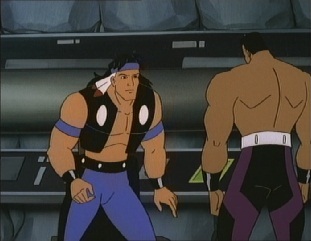 Later on, Nightwolf takes a look at Jax's implants and says that without the control chips, there is nothing he can do. 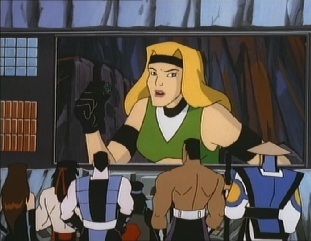 An alarm goes off and the team gather together to see what the problem is, but as they get together, Sonya is missing. Raiden wants to know where she is. 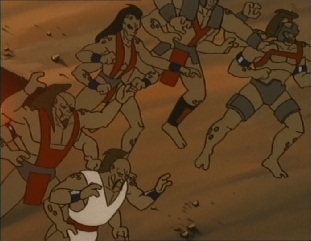 Nightwolf checks the rift alert and finds out that some Shokan warriors have invaded. 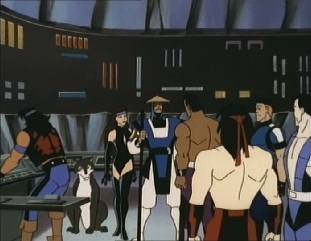 Kitana says that with Jax and Sonya out, they will need Raiden's help. 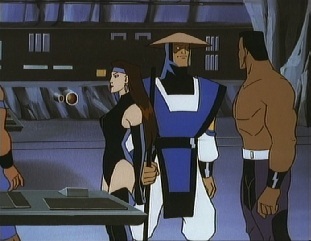 Raiden says this day is really heading for the toilet and tells Jax to get over to the island to find out what happened to Sonya. 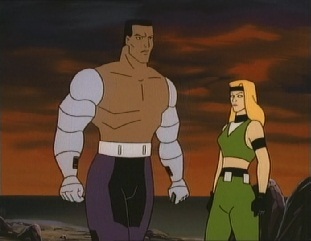 Jax says he can't without his bionic arms, but Raiden tells him to go, Sonya might be in danger because she went looking for his stupid chip thing. 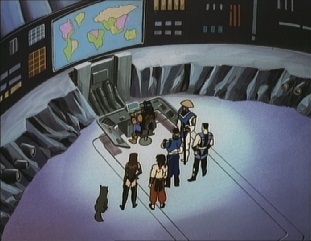 Raiden says he'll meet them at the rift co-ordinates and teleports away, whilst the team run to their jets. 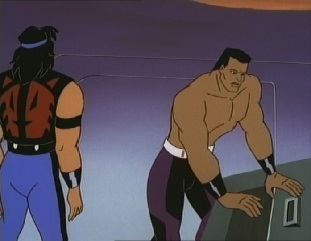 Jax is reluctant to go as he feels without his arm upgrades he's useless, but Nightwolf tells him to try searching for his inner strength. Jax decides to try and heads out in a jet. 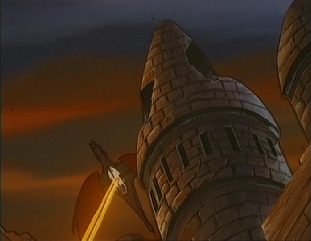 He reaches the island but cannot see Sonya anywhere, but does see a big castle. He lands his jet and starts to look around. 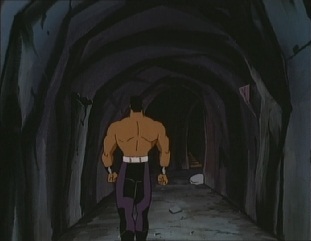 Meanwhile, the MK team goes to the source of the rift, which takes them into an old mine. 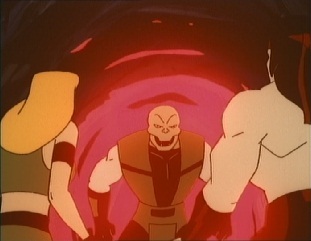 They see the rift, but they also see Sheeva, who has got several other Shokan warriors with her, and sends them to attack. 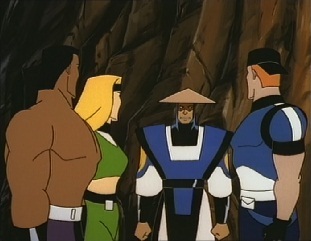 Things aren't in the team's favor but then Raiden shows up, who decides he's going to do some fighting for a change. 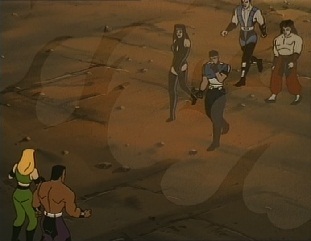 The team starts to fight, but as Stryker beats a Shokan warrior down he says that they need Jax and Sonya for backup. 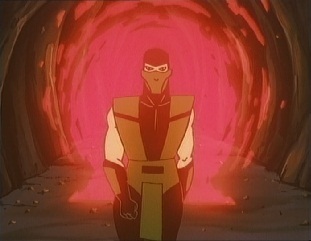 Meanwhile, Jax has landed his jet and gone into a cave. 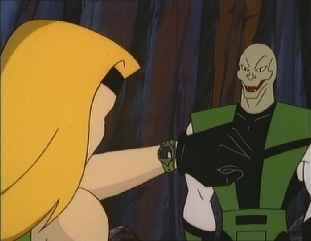 He finds Sonya's wrist communicator and sees acid marks on it, he guesses Komodai must have Sonya. 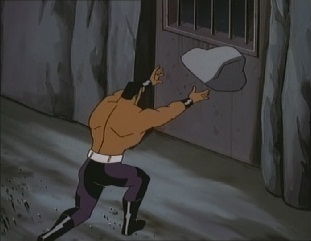 He tries to open up a door but can't, even after throwing a rock at it. 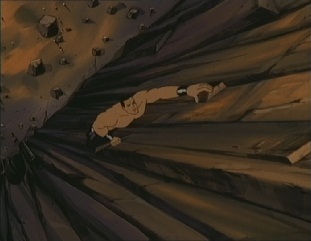 He leaves the cave and climbs up the side of a cliff, as he wants to sneak into the castle up at the top. 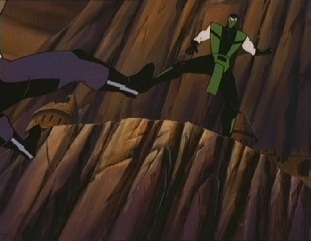 Jax reaches the top, and says he really managed to do it, but he is congratulated by Komodai...who kicks him back off. 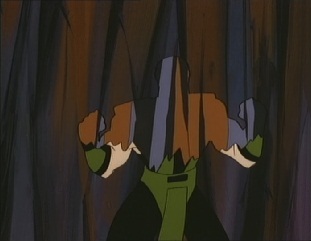 However, Jax grabs back onto the cliff and gets up for a second time, knocking Komodai down and seeing Sonya chained up to a wall. 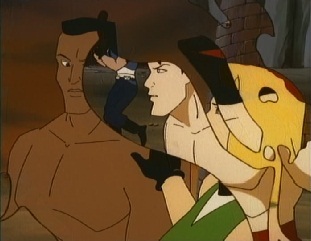 Komodai takes his hood off and starts spitting acid everywhere, so Sonya encourages Jax to use his brains. 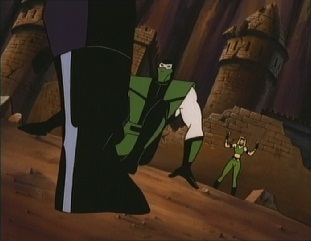 He runs off to hide, and manages to somehow trick Komodai by taking his boots off and putting a load of rocks on top of them, then hiding it in the shadows. 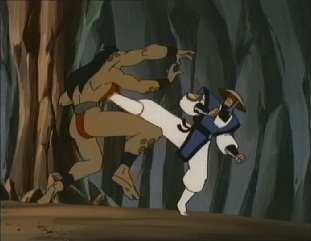 When Komodai goes to have a look at it, Jax drop kicks him. 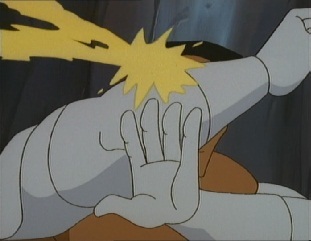 He then gets Komodai in a hold, but he escapes and starts spitting acid everywhere. 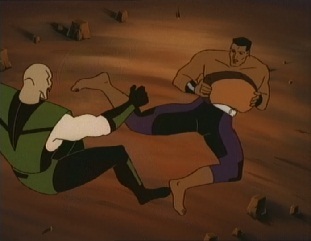 Jax rolls around to avoid it and then grabs a rock to use it to defend himself against the acid. 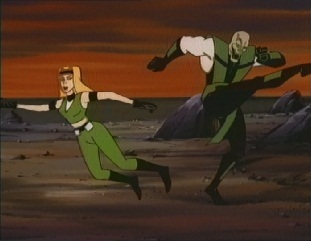 He then kicks Komodai back and runs up to where Sonya is. 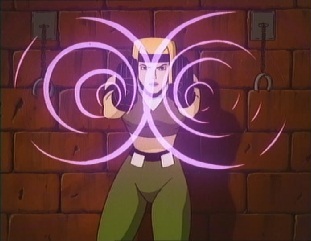 He uses the acid covered rock to burn through Sonya's chains. 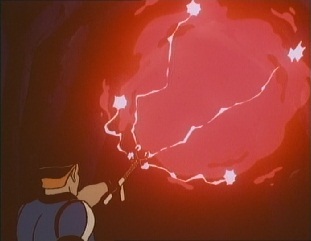 Whilst they are burning, he goes back to resume fighting Komodai, and then Sonya helps him out by throwing forward some projectiles. 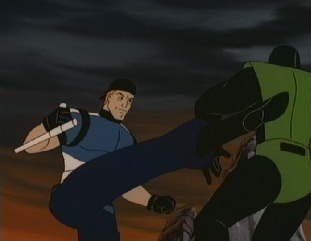 Jax then does a flying kick which makes Komodai smash through a wall. Sonya says Jax really has brains...for a lug. 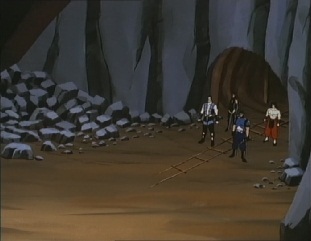 Meanwhile, the team continue to fight with Shokans, but there fighting is making the mine unstable and it begins to collapse. 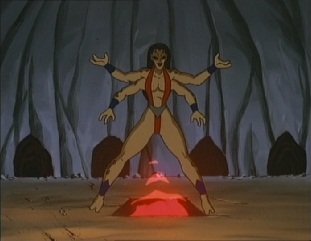 Sheeva orders her warriors to retreat and as they do, she throws a fireball which causes the mine to break apart. 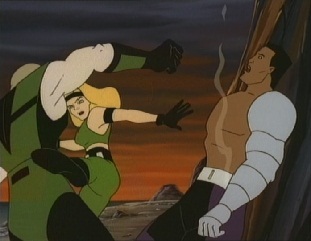 The MK team run for it and get outside in one piece, where they see Jax and Sonya waiting for them. 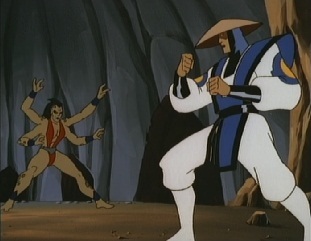 Jax says he thought Raiden was with them, but Raiden then teleports in, saying he thought Jax didn't care about him. 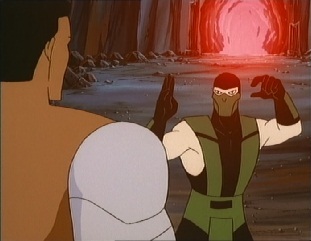 Jax says he doesn't, but he does care about Komodai and presents Raiden with the ninja, whilst Sonya tells him to send the reptile back to whatever realm he came from. 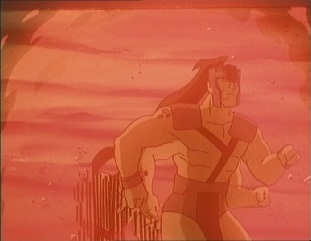 Later on, Jax has got his bionic arms back on and he thanks Nightwolf for his words about inner strength earlier. 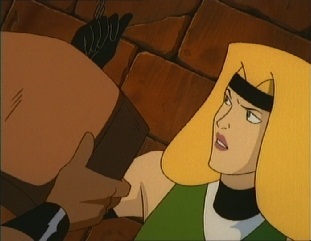 Sonya is surprised Jax has put his arms back on as she thought he'd realised brains are a better tool than brawn. Jax says he agrees with her statement, but it doesn't hurt to have a little extra help. 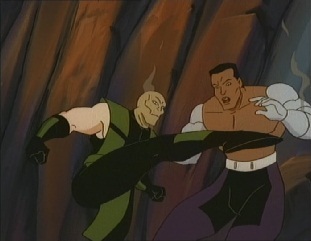 Komodai is practically a clone of Reptile from the Mortal Kombat games, just with a different name. 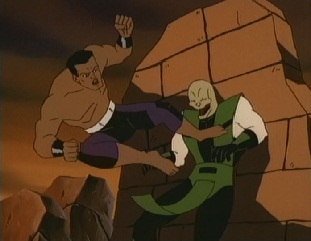 If you are wondering why they didn't just call him Reptile, it is most likely because this series is meant to be a sequel to the 1995 live action movie -and Reptile dies in that, after being defeated by Liu Kang. 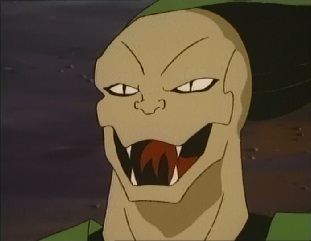 Strangely though there are a couple of instances in this episode where characters call Komodai "Reptile". 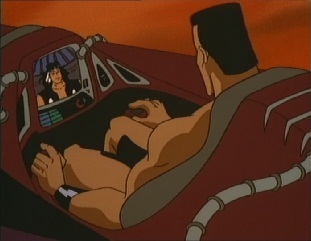 ANIMATION ERROR OF THE EPISODE: Jax is miscolored when he flies towards the castle, making it look like he's naked in the jet. Then he says this. 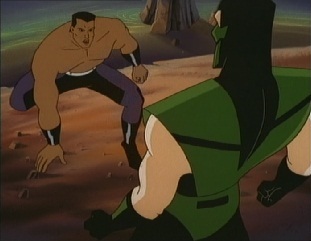 This is the first episode to use the MK dragon logo as a transition between scenes. It happens a couple of times.